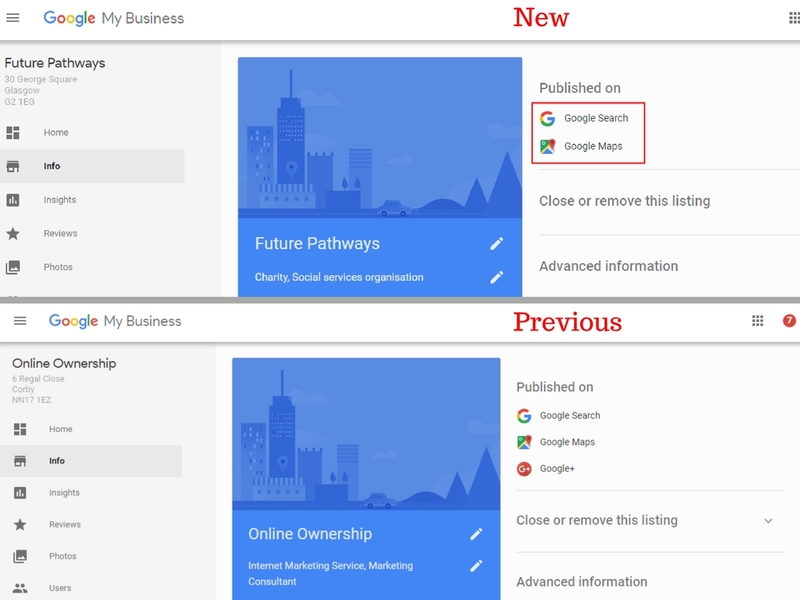 Google My Business has removed the automatic creation of a Google+ page for the business. 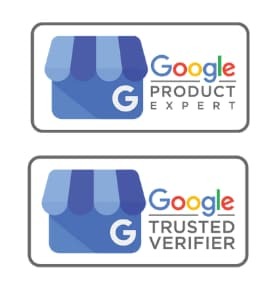 After verifying a new Google Business Page you will notice that the Google+ icon on the info page and the Connect to your Customers, Share an Update on the home page is missing from the Google business account page. 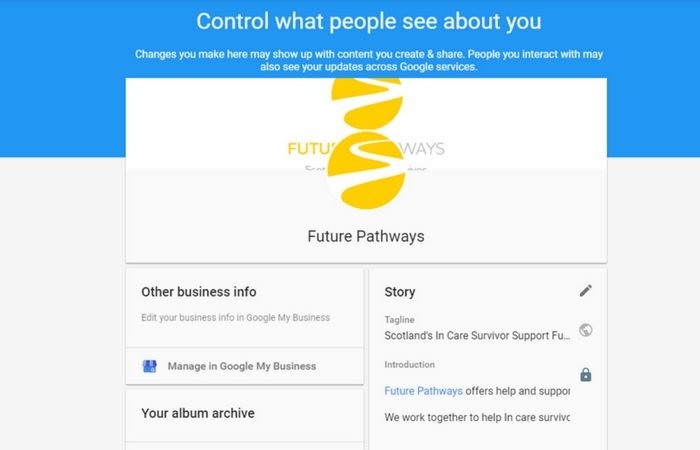 You get a sense of how bitter the divorce has become between Google My Business and Google+ because there is no link or notification to enable the Google+ page for the business. The G+ icon is now enabled in your Google Business Page dashboard. If you are going to create a Google+ business page, then I would recommend keeping it active. There is nothing worse then an empty social media channel for a business. 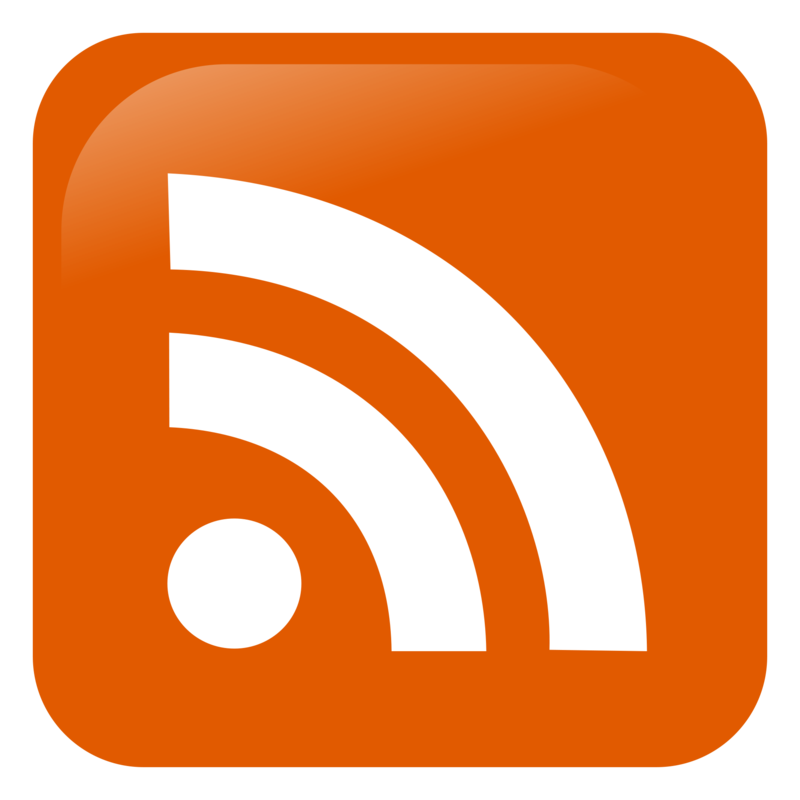 Pingback: Where has Google Plus gone?